"Greetings from Germany", writes Karoline, "I collect pictures from funny animal pairs too. 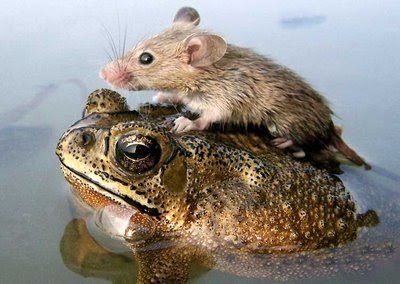 Here's my one image from a frog, that rescues a mouse from high water." how weird but cool. I wonder if that frog intentionally did that?